I've never owned stainless steel appliances, but I do have a few items (Berkley water filter, kitchen trash can, coffee maker) that are either stainless steel or have a plastic finish that has a stainless steel look. I have always felt that my regular all purpose kitchen cleaner and window cleaner never did them justice. 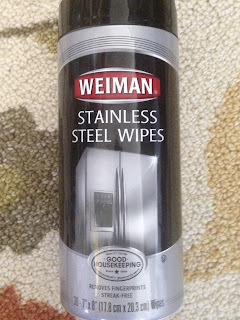 On a whim, I purchased some stainless steel cleaning wipes the other day at Target. Man, have I been missing out! 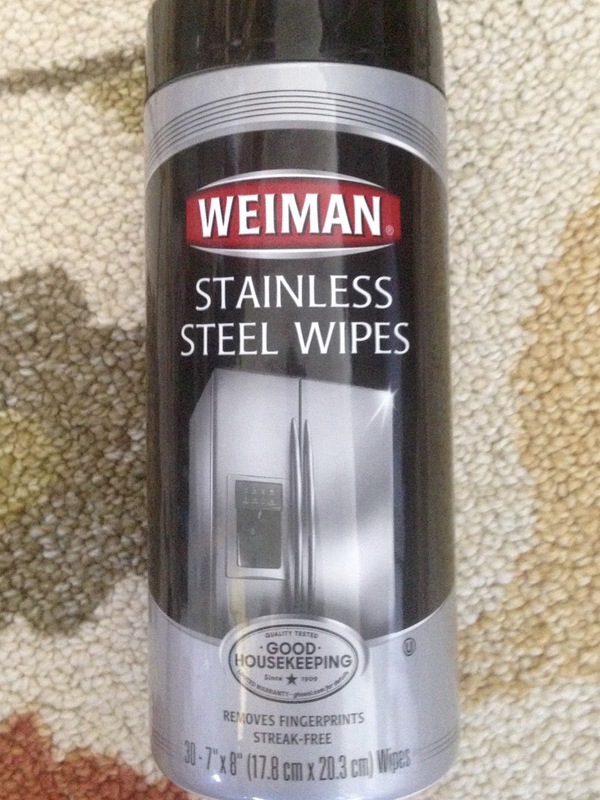 I cannot believe how easy it is now to get my stainless steel items bright and shiny. I tell you, it's the little things. They say they are non-toxic, but they also don't recommend eating them or wiping your eyes with them.